At Manitoba House a treaty is signed to form many First Nations reserves in the Interlake area including Dauphin River First Nation, Little Saskatchewan First Nation, and Lake St. Martin First Nation. 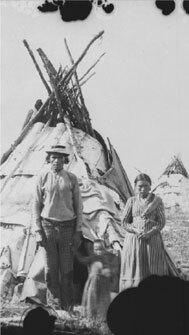 First Nations reserves throughout Manitoba were constantly in motion during this time. 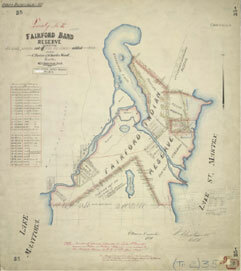 Lands and borders were established and contested. Titles were granted and communities were formed. Minister Steve Ashton expresses his views on flood-proofing reserves as emergency measure costs soar in the aftermath of the flood of 2011. The faces and lands of the First Nations people who worked and lived in Manitoba's Inter-lake region during this historic period. 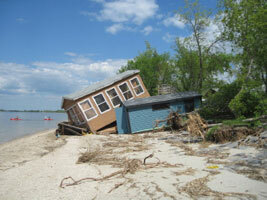 The province of Manitoba has suffered from many serious floods in it's history. 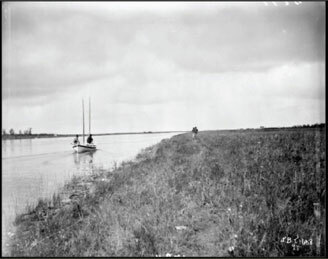 From before it was settled in the late 17th century to today, despite the construction of many water control structures, such as the Fairford Dam first built in 1934, flooding has had a dire impact on nearly every Manitoban community. The provincial and federal government have instituted many water control incentives over the years, such as the Fairford Water Control structure, reconstructed in 1961, to stem the tide of flooding into major urban centres. Though these structures do manage to protect these urban areas, much controversy has been sparked over the years, by communities such as Lake St. Martin, who have suffered major flooding due to the diversion of the flood waters. The Portage Diversion was built in 1970. It has been a major contributing factor in both preventing serious flooding in Winnipeg & Portage La Prairie and contributing to flooding downstream in Lake St. Martin and the surrounding areas. This diversion has been highly challenged by farmers and community members who have felt sacrificed each time it is used to flood out their homes season after season in lieu of flooding major urban centres. The Red River swells with water causing major flooding in the Red River Valley, Winnipeg, and many other communities in Manitoba. 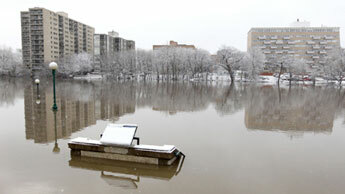 Records show this is third worst flood in the past 100 years for Manitoba. In late October of 2011, at already record high water levels, a weather bomb dumps 50 to 100 millimetres of rain and snow, causing moisture levels at freeze up to be the second highest since 1948. Extremely cold temperatures lead to deep soil-frost penetration, meaning spring melt water would be more likely spread out instead of soaking in. 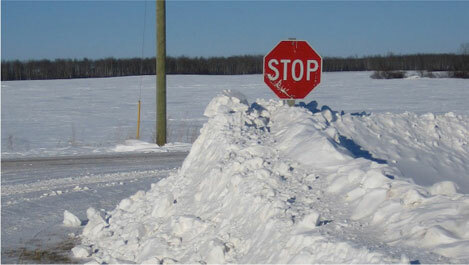 At the season's midpoint, the snowfall total was at a 15-year high. All of these factors cause major flood concerns for the Spring. 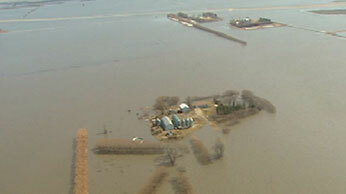 Major concerns arise all across Manitoba as water levels intensify throughout the spring of 2011. Many hope the water will drop down as the season progresses, while others prepare themselves for a flood of unprecedented proportions. Helicopter footage of the devastating flooding captures the escalation of the disaster as the spring wears on. On May 9, the Manitoba government declares a province-wide state of emergency, directly affecting over 70 communities, and issues evacuation notices for several municipalities along the Assiniboine River. By late May, water levels across parts of Manitoba and Saskatchewan reach the highest level in modern recorded history. Governments spend close to $1 billion on flood-fighting and compensation, the effort involving thousands of emergency officials, military personnel, and volunteers. 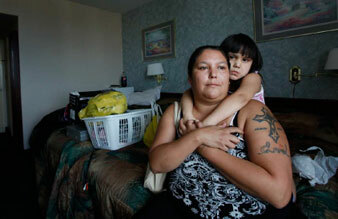 7,100 Manitobans are displaced from their homes, with 2,700 still evacuated at the end of the year. 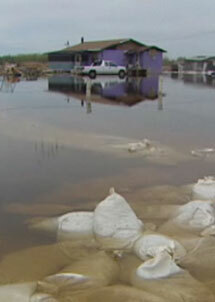 Many residents of the Lake St. Martin and surrounding areas are displaced from their homes by the massive amount of flood water and are re-located by government forces to hotels in Winnipeg and the surrounding areas. 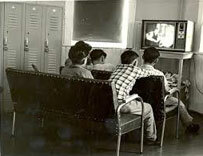 Locations like Misty Lake Lodge become semi-permanent homes for those evacuees until a long-term solution can be determined. 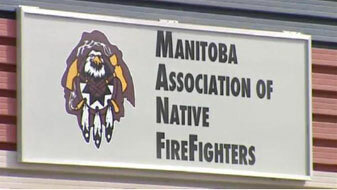 The provincial and federal government, along with Aboriginal Affairs, faced with thousands of First Nations evacuees, appoints the Manitoba Association of Native Firefighters to oversee the living conditions of the First Nations evacuees living in temporary residences throughout Manitoba. 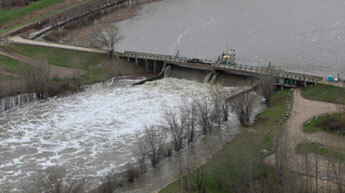 Several images of the aftermath of the flood of 2011. As Lake St. Martin and other areas are still deemed unsafe for habitation, the Manitoba provincial government begins talks with band leaders about potential sites for the relocation of evacuees. Lake St. Martin Chief, Adrian Sinclair, petitions to use Kapyong Barracks as temporary homes, but is denied. Talks begin about relocating to temporary homes built on a radar base on Highway 6. 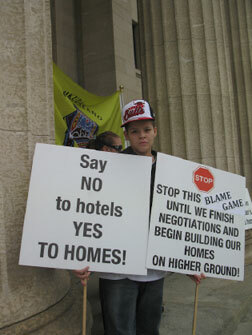 Chief Adrian Sinclair rejects a radar base near Gypsumville selected by the government as a suitable temporary site. 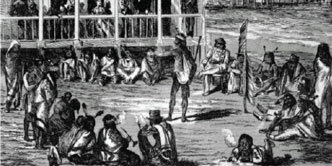 Though the government has spent $14 million to re-establish the community,, and several evacuees have signed up to move to the interim location, Chief Sinclair refuses to settle there. His explanation being that the government gave the contract to a company outside of the Lake St. Martin community without their consent, leaving them with little input on how their community will be built. Though some evacuees claim to have found better temporary living conditions in locations like Misty Lake Lodge, tensions rise regarding a real plan for relocation. Aboriginal Affairs Minister Eric Robinson makes claims to begin building modular homes at the Gypsumville radar base site and have them ready as early as February. 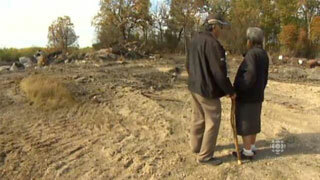 Many Lake St. Martin community members and band leaders still reject the site. Their fears that the site, prone to flooding, will become a permanent relocation site, does nothing to abate the province from buying the land, and beginning construction. As the cost of the flood relief soars to $40 million, the government initiates their plan to build temporary homes at the Gypsumville radar base site. Many evacuees reject this interim site and continue to stay in hotels. Though there is still hope that the Lake St. Martin area may be salvageable, no concrete solutions are reached. The effects of this uncertainty and having no home to go to is felt by many of the evacuees spread throughout Manitoba. Several inquiries begin to address the records of a rise in the number of flood evacuees from the Lake St. Martin and surrounding region. The number of evacuees appears to have increased significantly since the Spring of 2011. Public accusations come forth that the bands and other First Nations parties may be claiming higher numbers to take advantage of government paid benefits. Band leaders blame MANFF for disorganization and lack of record keeping. The provincial and federal governments complete homes at the interim site, encouraging evacuees to take residence there. Very few families move in due to various political and personal reasons. Costs to maintain evacuees in hotels skyrockets. There appears to be no firm plans on where and when the evacuees will be relocated. For the evacuees still living in hotels and apartments in Winnipeg and throughout Manitoba, the cost of living is drastically reduced overnight. Though rent and hotel fees are still covered, the federal and provincial governments insist that the situation has moved past emergency phase into long-term recovery phase. Therefore giving license for an 80% reduction in allowances. 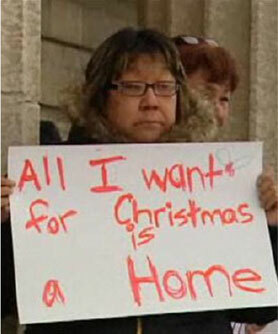 Protests spring up and reignite the inquiries into why these families and community members are still without a home. Despite many protests, the government insists that a permanent solution has been found in the building of the temporary site in Gypsumville, and has refused funding on a new location selected by the Lake St. Martin First Nation band leaders. Many still remain in limbo and the toll of living away from home shows itself in several suicides that rock the scattered community. 2013 arrives, and still no word on when decisions will be made. Though some claim to find a home at Misty Lake Lodge, others suffer a blow when a temporary school is shut down due to fire code violations. Though the school is eventually re-opened, parents are concerned that the non-permanent living conditions will seriously affect their children's ongoing education. A media frenzy stirs as allegations of evacuee abuse and instances of serious financial mismanagement puts MANFF in the spotlight. Unpaid hotel bills, suspicious invoices, and wild food bills lead to major news stories and public outcry. The federal government launches an audit on MANFF to probe further into the misappropriation of government funds. Due the pressure felt by this inquiry and their tense relationship with many evacuees, MANFF agrees to step down and surrenders control of the welfare of First Nations displaced by the flood of 2011 to the Canadian Red Cross. A new site near the Lake St. Martin reserve, but situated on higher ground resistant to flooding, is agreed upon as the new, permanent relocation site for the community. Though there is still some legislation involved, government and band leaders hope that members of the Lake St. Martin community can begin to move into homes built on the new site by the end of 2013. In the meantime, evacuees press charges against MANFF and the federal government for mismanagement of the flood relief efforts. In response, the government countersues causing tensions to rise with the Manitoba First Nations communities. An ongoing report conducted by Aboriginal Affairs And Northern Development Canada reveals that Manitoba's emergency assistance program was 'ineffective'. This sparks officials such as Liberal MLA Jon Gerrard to speak out about the 'human cost of the disaster'. Meanwhile, the site chosen for the relocation of the Lake St. Martin Community is reviewed, deemed prone to flooding, and declared unfit for human habitation. A month after it is announced that the Canadian Red Cross will take over flood victim oversight operations, MANFF remains in charge. MANFF takes legal action against a former employee who has leaked documents incriminating MANFF for financial mismanagement. Allegations continue to fly about evacuee bullying and overall mistreatment. MANFF staff is evicted from their accommodations. There seems to be no end to the MANFF controversy. Due to over 3 million dollars in unpaid bills, Misty Lake Lodge is forced to close. Evacuees who have been living there for over 2 years are forced to find accommodations elsewhere, dividing the small community of evacuees even further. Meanwhile, costs for the 2011 flood relief still soar, and the government, desperate to bring an end to the 2011 flood evacuee issue, scrambles for answers. The government attempts to create incentives for evacuees to relocate. Few evacuees choose these incentives, instead demanding that their community is re-established. As of February of 2014, the provincial government says it has set aside $100 million and is working towards a final settlement with the four First Nations hit hardest by the flood of 2011. The Canadian Red Cross officially announces to take over the care of First Nations evacuees and begins sessions with community members in February of 2014. A study, conducted by the Red Cross, publicly addresses the depression and other difficulties faced by the displaced members of the communities affected by the 2011 flood. Though some officials still deny that the flood of 2011 was artificially manufactured by means of water diversion through the Portage Diversion and the Fairford Water Control Structure, the Lake St. Martin Emergency Channel is constructed. Some question whether this will be enough to prevent future flooding. Others question why these measure were taken only after the flood of 2011 created such emergency conditions. Nearly 2,000 evacuees still remain without permanent homes. A series of arsons destroys homes still standing on the reserve. When a respected community member dies in a fatal car accident, the community has to commute to their former land to bury him with his family. As time moves on, the risk of flooding still exists, and still there are very few answers as to when the community will find a new home.